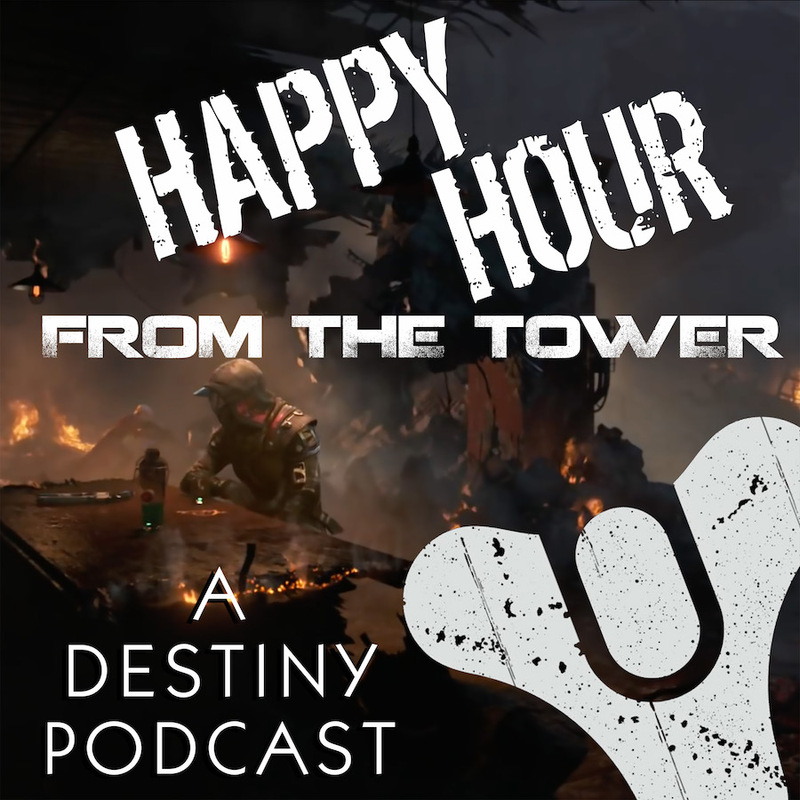 Episode #002 of Happy Hour from the Tower: A Destiny Podcast is going “Cabals Deep” into what Bungie is calling their “Victory Lap” prior to the release of Destiny 2. Age of Triumph is a new record book—the biggest Bungie has ever released—and Tee, Nick, and Brandon are nostalgically looking ahead to what’s in store. Once again? But this is our second episode. This is the celebration from Bungie for Destiny. A bit of the community is upset about all this new gear coming. All of Destiny’s raids are back…but there is a catch. For any new Destiny players, what is a Raid? Brandon discovers the hard way how matchmaking works: It doesn’t. There is more to Age of Triumph other than Raids. Let’s talk about Strikes. Smoked Meat analogies work for this game. This is a 12-Step Program that is no help whatsoever. Treasures of the Ages: available at EverVerse or playing the AoT challenges. Can you smell the nostalgia? We can. When does this Age of Triumph madness begin today? Wait…TODAY?! Apparently, Deej is your huckleberry. We do love MAGFest on this podcast. Brandon covets it, but Tee’s got issues. Verizon will not be sponsoring this podcast anytime soon. We also love Rev3 on this podcast. And you know what’s another great analogy that works for Destiny? The Moment of Triumph armor…sexay! So how did Bungie pull this off without putting on additional demands on the consoles? It’s great listening to Nick and Brandon covet gear. Comments from the Cosmodrome already?! A question from Steve Saylor, The Blind Gamer — Where to start on Destiny? A comment from author P.C. Haring — Why do you play Destiny? Want to share your thoughts with the Tower? Previous Post Episode #001: Meet the Guardians!